From an early age, Dr Kathryn Skelding was fascinated by how the body works, and this focus continues to drive her desire to understand how diseases develop and how they can be treated. A molecular biologist with expertise in cell biology, Kathryn believes that if we can understand the processes of cancer cell proliferation, survival and the development of resistance to chemotherapeutics, we can develop new, targeted anti-cancer therapies. An early career researcher with an expertise spanning from fundamental biochemistry to clinical evaluation of new anti-cancer therapeutics, Kathryn has already made important contributions to science. And it’s her innate curiosity that’s driven her work. "I always wanted to know why – why does that disease develop? How does that treatment work?" Kathryn says. "So it was just natural that I would become a medical researcher who investigates the causes of diseases, so that we can develop new and better treatments." This curiosity continued throughout her undergraduate studies, where Kathryn graduated with first class Honours and the University Medal in Biomedical Science from UON. The development of new targeted therapies for a varieties of cancer was an early theme of her research; Kathryn’s doctoral studies examined the use of novel oncolytic viruses as treatments for breast cancer, and were funded by a National Breast Cancer Foundation Scholarship. Phase I trials for these viruses showed that they were safe and well-tolerated, with evidence of disease stabilisation. Kathryn’s choice of research field was greatly influenced by personal experience, as several people close to her have been affected by cancer. "While it's well-known that side effects are associated with chemotherapy, it's only when you actually see what these drugs do to someone that it really hits home how toxic they are," she says. Kathryn studies how cancer cells function so that she can better understand how cancer cells grow, spread and develop resistance to chemotherapy drugs. "If scientists can better understand these processes, we can develop new treatments for cancer that are more cancer-cell specific and have fewer side effects," she says. Kathryn is exploring the role of targeting in regulating cancer cell proliferation, invasion and resistance to chemotherapy, exploring how novel inhibitors can play a role in targeting pathways. The aim is to develop new therapies and kill the cancer cells – with maximum effectiveness, while minimising side-effects. With her leukaemia research, Kathryn’s team is focussed on a protein molecule called BAALC (brain and acute leukaemia, cytoplasmic), which is associated with aggressive disease that is more likely to recur, and also indicate that chemotherapeutic drugs may not be effective against these leukaemia cells. "My lab focuses on a molecule that is present in high amounts in leukaemia cells, and that we have shown is involved in controlling cancer cell growth and survival." Kathryn has dedicated her attention to developing a new inhibitor for this molecule, and the results are promising. 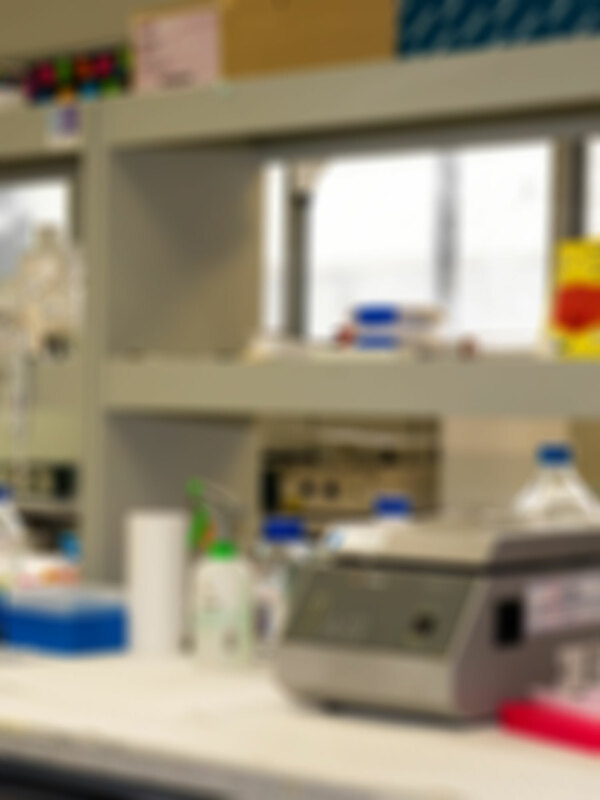 This inhibitor is currently being developed with Newcastle Innovation, a University of Newcastle company that bridges gaps between technology and commercial partners, with the aim of introducing these technologies into clinical use. 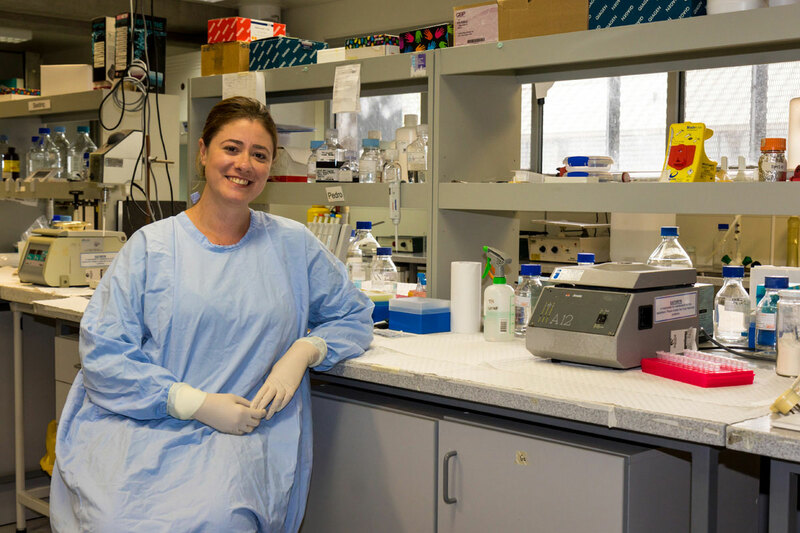 Working closely with her colleagues in the University's Priority Research Centre for Cancer, and through her association with the Hunter Medical Research Institute (HMRI) Kathryn has also established important links and relationships with clinical oncologists which continues to fuel her research. Over her career, Kathryn has been successfully awarded funding from a broad range of bodies, which is vital to translating research findings into the clinic. With so many exciting outcomes in her early research career, Kathryn’s focussed research is bound to lead to treatments which can not only lead to improved patient outcomes – but a better quality of life. Dr Kathryn Skelding focusses on cancer cell biology, specifically how cancer cells proliferate, metastasise, and develop resistance to chemotherapeutics. Dr Skelding is an early mid career researcher, who was appointed to a full-time continuing lecturing position at the start of 2012. Her research focuses on understanding cancer cell biology, specifically how cancer cells proliferate, metastasise, and develop resistance to chemotherapeutics. If these processes can be better understood, new targeted anti-cancer therapies can be discovered. Dr Skelding's PhD investigated the use of oncolytic viruses as novel anti-cancer agents, and was funded by a National Breast Cancer Foundation (NBCF) Scholarship, as well as the commercial company, Viralytics Ltd.
During her PhD, Dr Skelding developed new clinically relevant mouse models of spontaneously metastasising breast cancer, which allowed her to examine the pre-clinical effectiveness of novel viral therapies for cancer, both as single agents, and in combination with currently approved chemotherapeutic agents. Additionally, the research undertaken throughout Dr Skelding's PhD has led to the commencement of clinical trials in the use of this virus (CAVATAK) as an intravenous treatment for melanoma, breast, and prostate cancer. In her post-doctoral studies, Dr Skelding further applied her background in cell biology to examine signal transduction pathways and the role of targeting in regulating CaMKII (calcium/calmodulin-stimulated protein kinase II) function in neuronal cells. Since completing her post-doctoral studies in 2012, she has established her own research group that focuses on better understanding cell signalling in cancer, with a view to developing new therapies that are cancer cell-specific and suitable for the treatment of a range of cancers, with a focus on leukaemias (specifically acute myeloid leukaemia, and childhood acute lymphoblastic leukaemia), glioblastoma multiforme, breast cancer and prostate cancer. Dr Skelding has received several awards throughout her research career, including the Newcastle Innovation Excellence in Innovation Award (2015), the Hunter Cancer Research Alliance Excellence in Translational Research Award (2014), International Society for Neurochemistry Travel Award (2011), Best Early Career Researcher Speaker at the Hunter Medical Research Institute Cancer Research Program Symposium (2010), Best Speaker at the University of Newcastle Graduate Student’s Day (2006), University Medal in Biomedical Science (2003), the University of Newcastle Vice Chancellor’s Award for Academic Excellence (2000), and numerous undergraduate and post-graduate training scholarships. Due to work completed throughout her PhD, the Hon Roslyn Kelly (Chair of the National Breast Cancer Foundation Board of Trustees) nominated Dr Skelding for a Fresh Science Award in 2006, for which she was short-listed. Dr Skelding's overarching research aim is improve patient outcomes and quality of life, by translating her research findings into the clinic. Dr Skelding's research interests focus on examining signal transduction pathways and the role of targeting in regulating cancer cell proliferation, invasion/migration and chemotherapy resistance, so that new targets for controlling these cellular functions can be identified. Using a variety of molecular, biochemical and cellular techniques (including siRNA and overexpression transfection of cancer and normal cell lines, western blotting, immunoprecipitation, immunofluorescence, immunohistochemistry, proliferation assays, cell survival assays, flow cytometry, invasion and migration assays), she has identified new pathways involved in these processes. Additionally, she has developed novel inhibitors that can target these pathways. Dr Skelding is currently examining the efficacy of these new drugs in a range of cancer types, including acute myeloid and lymphoblastic leukaemia, breast cancer and prostate cancer. Dr Skelding is the Deputy Chair of the University of Newcastle Faculty of Health Occupational Health and Safety Committee, a member of the Scientific Committee for the Hunter Cancer Biobank, and has been on the organising committee for several conferences and symposium days. Dr Skelding is also on the editorial board of the International Journal, Calcium Signalling. Dr Skelding's interest in the regulation of protein function via targeting has led to her forming local, national, and international collaborations to investigate the role of protein phosphorylation in heart disease and following stroke, as well as investigating tetraspanins as novel biomarkers in prostate cancer, and protein phosphatase 2A (PP2A) reactivators as new treatments for leukaemia and breast cancer.